Road trips are one of those things that all car lovers dream about. There’s nothing better than being behind the wheel in that car that you love so much, heading off into the sunset, with your windows down and the music up. Whether you go with your partner, your friends, or your family, there is certainly something to be said for getting out there on the open road, and seeing what the world has to offer. 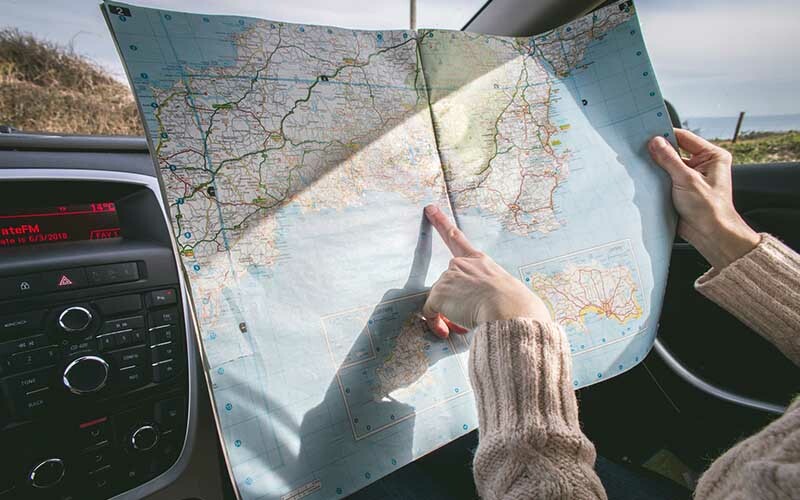 However, before you head on that exciting trip, there are some things that you need to consider, and we’ve noted them down here for those road trip fanatics. Whilst there is something to be said for going on that road trip without any plans, working out the route – even if you only work out a little bit of where you’re going – is a pretty good idea. Sure, you may change your mind when the day comes around, and there are sometimes unexpected problems that force you to go elsewhere, but the route is still an important thing to think about. If you’re going on a road trip that will last longer than a day, then you also need to consider the towns or cities that you’ll be in when the day draws to a close. Unless you’re a camping whizz or you don’t mind sleeping in the back of your car, you will need to find out some hotels that you can stay in, and it’s usually a lot cheaper to book these things beforehand. Planning is key if you want to sleep somewhere comfortable! Another important note to keep in mind about the route is that you’re going to need a few things along the way; namely, gas. If you find yourself in the middle of a forest or desert area and you’re running out of fuel, it’s going to be like something from the beginning of a horror movie. You can also find out about accident support here, so that you’re always prepared for whatever happens on your road trip. In short, the route should be something that you sit down and consider with your passengers before you head off out there, so that you can all visit those spots that you’ve been thinking about going to. Again, don’t be afraid to vary from it a little, but just remember that if you’re not very responsible, you could be sleeping outside the car overnight, which is totally not enjoyable for most people. A lot of road trips are pretty sporadic, and you don’t always plan well for your trip. However, before you throw your bag into the trunk of the car, you should make sure that you have some specific items. We know, we sound like your Mom, right? But without these things, you could find yourself in a tricky situation, or – God forbid – you could be hungry. Nobody wants to be hungry on a road trip. Which leads us to the first thing that you should take: snacks. Sure, you will be stopping for bigger meals along the way, but getting your fill of healthy snacks throughout the day will help to give you that energy that you need for when you finally get to the beach, and you want to run around like a child. From cereal bars to fruit, there are plenty of healthy ideas to keep you going (or unhealthier options, if you’d prefer). You should also take some items to ensure your safety. A Swiss army knife is basically a magic road trip tool, and things like hand sanitizer and baby wipes are also useful if you don’t want to end up covered in previously mentioned snacks until you can find a bathroom. A first aid kit, a pillow and blankets, and some physical maps, in case your phone fails you, are also all good ideas. Oh, and don’t forget to bring water. Ultimately, your supplies list will depend upon the season that you’re traveling in, and the age group of the people who are out there on the road. You’ll probably need a lot more if you’re traveling with kids, whereas older people will be alright without certain things. An aux cable, and some good playlists, are essential for any age. No road trip ever went down in complete silence now, did it? A road trip is only as good as the people who are out there with you, and don’t forget this when you’re planning your trip. Perhaps you have a few close friends that you’d love to experience your country with, or maybe you have that special someone (wink wink) that you’d really like to travel with. Whoever it is, make sure that you choose out these people, and let them know when your road trip is going down. Let us be pretty blunt here: you’re going to spend hours with these people, trapped in a metal box with wheels. Because of this, you need to think through your road trip clique. However, it’s not all bad, and road tripping with your friends is a great experience, as you’ll learn so much about each other. It’s one of those things that kind of forces you to bond, and you’ll end up having deep conversations that you’ll remember forever. Again, if you’re traveling with kids or family members, then you need to be aware that this could be a little more stressful. Kids always need the bathroom, or they feel sick, or they’re asking you every 5 minutes whether you’re at your destination yet. Before you strap your kids into the car, make sure that you’re ready for your trip to take a little longer, and perhaps don’t plan something that is super far away. So… if you want to plan that road trip to remember, then think about all of these things. From the route, to the supplies (read: snacks), to the people, there are so many things that could make or break your trip, but either way, you’re sure to have a great and memorable time, seeing your country from the comfort of your car. Good luck, and happy road tripping!